Daffodil Bottle by Just Inklined coloured with Copic Markers, designer papers by Stampin up a bit of lace, a bit of ribbon and a button from Fantastic Ribbons. Image cut from the Nestabilities Ovals. 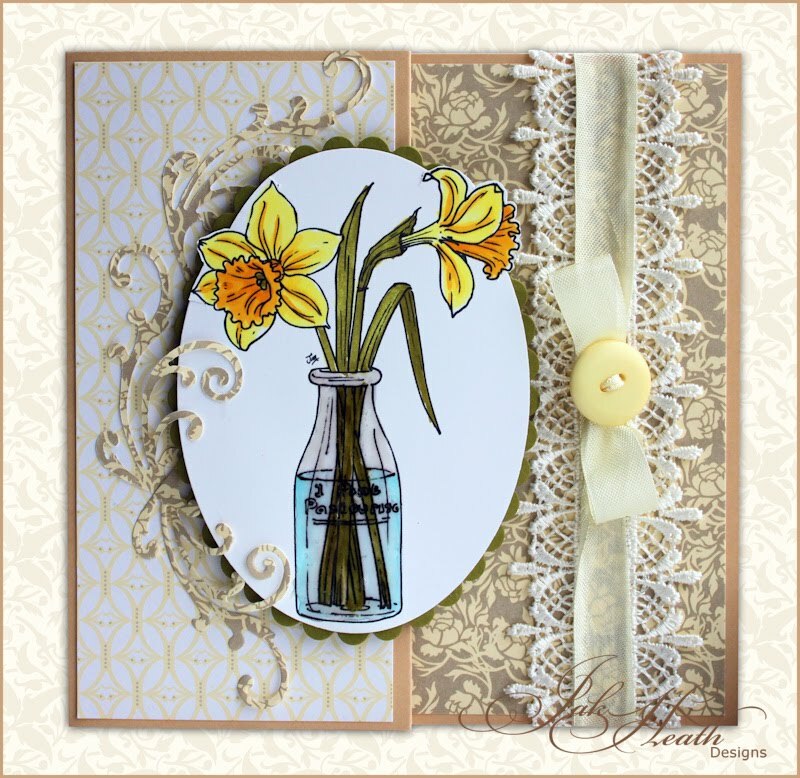 Beautiful card, the daffodils looks lovely. And the bathroomwill definately looks awesome, qwhile it´s all done. 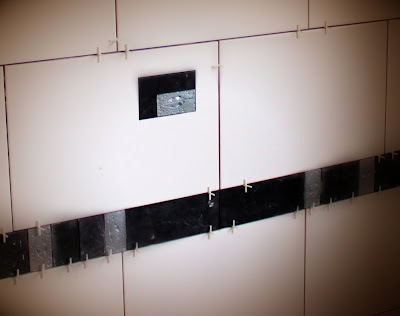 I like the iddea of the silvertiles in the border, I´m sure it´ll looks amazing while it´s all finished. Can´t wait to see that. Gorgeous card Jak.Love the papers you have used with the image. I just adore those wee leaf tiles. Have never seen anything like them before. Goooooorgeous. Nice tile, keep up the good work. Love the card especially the lace. I LOVE Just Inklined stamps, they rock! The daffodil is no exception, gorgeous. The tiles are looking good, its getting closer to being finished, yay! Glad to hear your bathroom is taking shape. 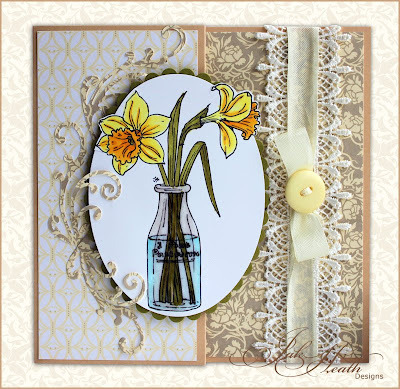 Love the vintage feel of this card and the daffodils make me anticipate spring! Just lovely! Wow, what a beautiful card!!! Can't wait to see the completed bathroom!